Our schools throw away so much trash each day and some of it can be easily recycled. 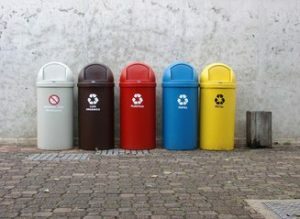 Exploring the subject of recycling is a necessary responsibility of our community and by having students delve into the subject, they will begin to become more cognizant of their own responsibility to recycling. The students will research the topic extensively to inform themselves of the importance and reasons why we recycle. They will then interview staff and students to gather data and ideas on how they can improve the recycling program already in place at their school. Finally, the students will be challenged to use the data to determine strategies they can implement to increase the amount of recyclables being collected at their school. Have you ever wondered how much recycling is produced at your school? We will be exploring this concept and seeking an answer to this question by collecting data using various methods. The gathering of data will be done through means of questioning/interviewing staff and students, journaling our observations and findings, graphing, (bar graphs and picture graphs) and measuring usage and placement of recycling containers, as well as tracking growth along the way. We will then use our data to formulate a plan for finding more efficient ways to increase recycling in the school system. Browse the Stem Curriculum archive. Grade Level: 1, K. Content Area: Mathematical Processes, Science and Technology, Social Studies Skills and Methods, Writing. Industry: Environmental Engineering. Bookmark the permalink.